I was looking through my seed catalog and narrowing down our choices for plants this year. Our plan for our first garden is to have four raised beds and containers on the porch. Looking through all those seeds, all the things we want to plant, even after striking quite a few (do we really need eight varieties of hot peppers?) off the list, is overwhelming. I am afraid we’re going to plant too much and get in over our heads. I want to plant everything, and that’s part of the problem. I have a lot of time to devote to a garden right now, and Big Bee is going to help too. I don’t have to worry about it going uneaten because we live next door to Big Bee’s parents, sister, and nieces, and we can always give extra to them. What if I plant too much and it all withers and dies? What if it’s overcrowded? What if I’m just no good at growing plants? I’ve nearly killed my fern at my office after only three months! These are the things I worry about when I think of planting a large garden. Part of me says: It’s okay. If it all dies, there’s next year and I’m out a few bucks in seeds. If I don’t get it right, I’ll try again later. I will be successful even if I only get a few tomatoes or one head of lettuce. I don’t have to be perfect the first time around. But I want so badly to be successful at this. 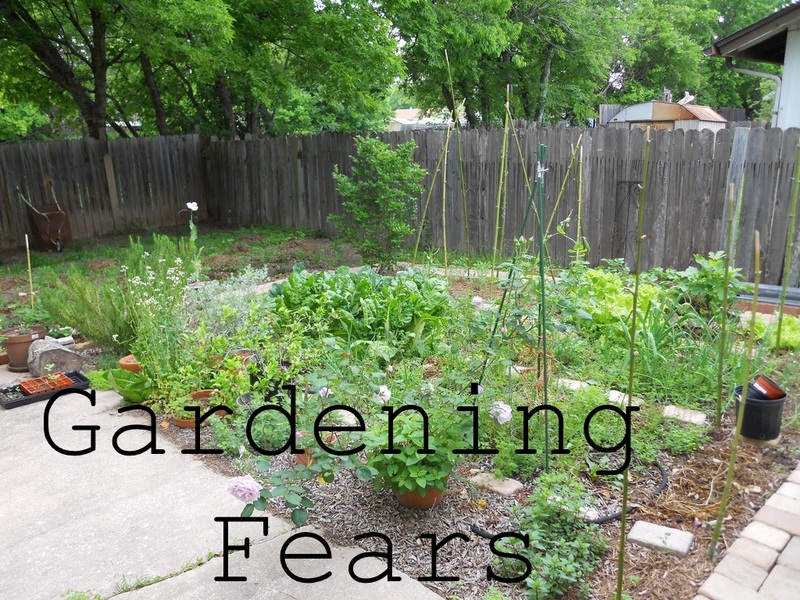 Did you have fears the first time you planted a garden? Any tips you’d like to share? How do you keep from being overwhelmed by your garden? It’s all part of the fun! Experiment… Try different things… Plant lots of variety to see what does well. You can always thin them out if you’ve planted too much. Your garden will be amazing!! Post some pictures once thing start growing. Thank you, Stan! That’s very encouraging. I will definitely have pictures up as things get going. I’m building a compost bin in February, so that’s the next garden-related project.